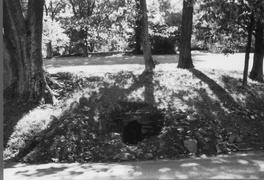 This plank kiln was built in 1806 after an earlier kiln at Monticello was destroyed by fire. The kiln was used to dry and cure wood meant for flooring in the house. Today, the kiln is covered over and difficult to notice.